We apologize, this item is currently OUT OF STOCK! 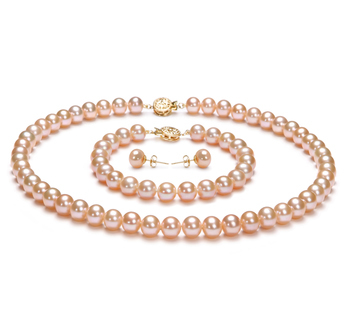 As interesting as it is unique, this cultured freshwater pearl necklace is an instant conversation starter wherever you go. 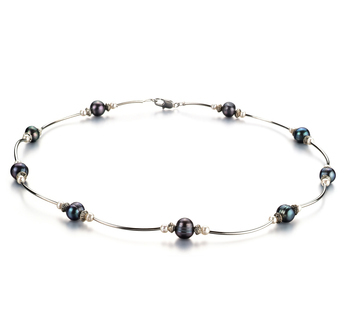 The Sophia Black and White 5-7mm A Quality Freshwater Pearl Necklace features the dyed black and white AA luster Freshwater Pearls that are truly make a statement when combined with the wire stringing. Sophia Black and White 5-7mm A Quality Freshwater Pearl Necklace is one gift that can be appreciated for a lifetime of memories. Show only for "Sophia Necklace"